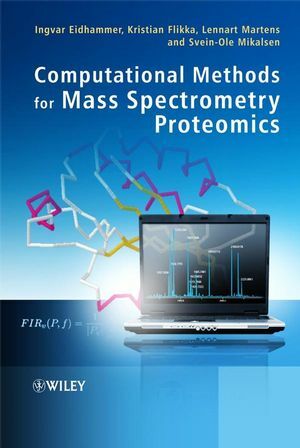 Computational Methods for Mass Spectrometry Proteomics describes the different instruments and methodologies used in proteomics in a unified manner. 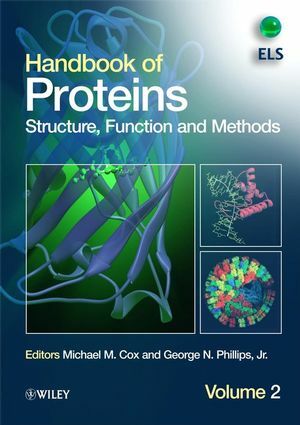 The authors put an emphasis on the computational methods for the different phases of a proteomics analysis, but the underlying principles in protein chemistry and instrument technology are also described. The book is illustrated by a number of figures and examples, and contains exercises for the reader. 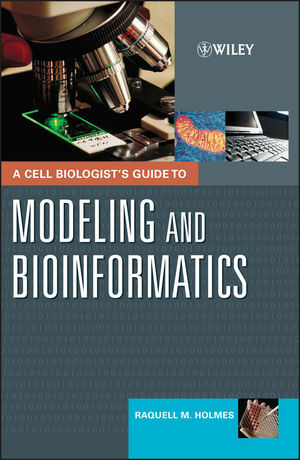 Written in an accessible yet rigorous style, it is a valuable reference for both informaticians and biologists. Computational Methods for Mass Spectrometry Proteomics is suited for advanced undergraduate and graduate students of bioinformatics and molecular biology with an interest in proteomics. It also provides a good introduction and reference source for researchers new to proteomics, and for people who come into more peripheral contact with the field. 1 Protein, Proteome, and Proteomics. 1.1 Primary goals for studying proteomes. 1.2.3 Allelic variants - polymorphisms. 1.3 Protein properties - attributes and values. 1.3.1 The amino acid sequence. 1.5.1 UniProt KnowledgeBase (Swiss-Prot/TrEMBL, PIR). 1.5.2 The NCBI non-redundant database. 1.5.3 The International Protein Index (IPI). 1.5.4 Time-instability of sequence databases. 1.6 Identification and characterization of proteins. 1.6.1 Top-down and bottom-up proteomics. 1.6.2 Protein digestion into peptides. 1.7 Two approaches for bottom-up protein analysis by mass spectrometry. 1.7.1 MS - Peptide mass fingerprinting. 1.7.2 MS/MS - Tandem MS.
1.7.4 Reducing the search space. 1.8 Instrument calibration and measuring errors. 2 Protein Separation - 2D Gel Electrophoresis. 2.1 Separation on molecular mass - SDS-PAGE. 2.1.1 Estimating the protein mass. 2.2 Separation on isoelectric point - IEF. 2.3 Separation on mass and isoelectric point, 2D. 2.3.1 Transferring the proteins from the first to the second dimension. 2.3.2 Visualizing the proteins after separation. 2.4 2D SDS-PAGE for (complete) proteomics. 2.4.3 Programs for treating and comparing gels. 2.4.4 Comparing results from different experiments - DIGE. 3.1.4 Other considerations for the choice of a protease. 4 Peptide Separation - HPLC. 4.1 High Pressure Liquid Chromatography - HPLC. 4.2 Stationary phases and separation modes. 4.2.1 Reverse phase chromatography, RP. 4.2.2 Strong cation exchange chromatography, SCX. 4.2.3 Other types of chromatography for proteomics. 4.3 Component migration and retention time. 4.4 The shape of the peaks. 4.5 Chromatography used for protein identification. 4.5.1 Theoretical calculation of the retention time for reverse phase chromatography. 4.6 Chromatography used for quantification. 5 Fundamentals of Mass Spectrometry. 5.1 The principle of mass spectrometry. 5.2.1 MALDI - Matrix Assisted Laser Desorption Ionization. 5.2.2 ESI - Electrospray Ionization. 5.4 Isotopic composition of peptides. 5.5.1 Estimating one or two peptides in a peak complex. 5.7 Mass resolution and resolving power. 6 Mass Spectrometry - MALDI-TOF. 6.1 Time-of-flight analyzers and their resolution. 6.2 Constructing the peak list. 6.2.3 Smoothing and noise reduction. 7 Protein Identification and Characterization by MS.
7.1 The main search procedure. 7.1.2 The database - the theoretical data. 7.1.4 Organization of the database. 7.2 The peptide mass comparison. 7.2.1 Reasons why experimental masses may not match. 7.3 Database search and recalibration. 7.3.1 The search program MSA (Mass Spectra Analyzer). 7.4.3 Identification from a protein mixture. 7.5 Statistical significance - the P-value. 7.5.1 A priori probability for k matches. 7.5.2 Simulation for determining the P-value. 7.5.3 A simple Mascot search. 8 Tandem MS or MS/MS Analysis. 8.4 Different types of analyzers. 8.4.2 Triple quadrupole (Triple quad). 8.4.4 Fourier Transform Ion Cyclotron Resonance (FT-ICR). 8.4.5 Combining quadrupole and Time of flight - Q-TOF. 8.4.6 Combining quadrupole and ion trap - Q-TRAP. 8.4.7 Combining TOF and Ion trap. 8.4.8 Combining Linear ion trap with Orbitrap. 8.4.9 Characteristics and performances of some type of analyzers. 8.5 Overview of the process for MS/MS analysis. 8.6 Fragment ion masses and residue masses. 8.7 Deisotoping and charge state deconvolution. 8.8.2 Estimating the charge state of the precursor. 9.1.1 The mobile proton model, MPM. 9.2.1 Constructing the training set(s). 9.3.1 Fragmentation Intensity Ratio (FIR). 9.3.3 Use of decision trees. 9.4 The effect of amino acids on the fragmentation. 10 Identification and Characterization by MS/MS. 10.1 Effect of operations (modifications - mutations) on spectra. 10.2 Filtering and organization of the database. 10.3 Scoring and statistical significance. 11.1 Constructing a theoretical spectrum. 11.2.1 Number and intensities of matching peaks or intervals. 11.3.1 Bayesian method - SCOPE. 11.3.2 Use of log-odds - OLAV. 11.4.2 Spectral convolution and spectral alignment. 12 Sequencial Comparison - de novo Sequencing. 12.1.1 A general spectrum graph. 12.4 Constructing the spectrum graph. 12.5 The sequencing procedure using spectrum graphs. 12.5.2 Scoring the derived sequences against the spectrum. 12.6 Combined spectra to improve de novo sequencing. 12.6.1 Use of two fragmentation techniques. 12.8 Bibliographic and additional notes. 13 Database Searching for De Novo Sequences. 13.1 Using general sequence search programs. 13.1.1 The main principle of FASTA and BLAST. 13.1.2 Changing the operation of FASTA/BLAST. 13.1.3 Scoring and statistical significance. 13.3.1 A general model for peptide sequence tag search programs. 13.3.2 Automatic extraction and scoring of sequence tags. 13.3.4 Extending the sequence tag hits with flanking amino acids. 13.3.5 Scoring the PST matches. 13.4.1 Use of suffix tree. 13.4.2 Use of deterministic finite automata. 14.2 Selecting a representative peptide sample - COFRADIC. 14.3 Separating peptides into fractions. 14.5.1 Classifying good and bad spectra. 14.5.2 Use of the classifier. 14.6.2 Clustering of sibling spectra. 14.6.3 Representative spectra for the groups. 14.6.4 De novo sequencing from representative PRM spectra. 15 Quantitative Mass Spectrometry-Based Proteomics. 15.1 Defining the quantification task. 15.2 mRNA and protein quantification. 15.5 Different methods for quantification. 15.10 Inferring relative quantity from peptide identification scores. 16.2 Protein identification using peptide masses: an example revisited. 16.2.1 Extension to MS/MS derived peptide sequences instead of masses. 16.3 Minimal and maximal explanatory sets. 16.3.1 Minimal and maximal sets in peptide-centric proteomics. 16.3.2 Determining maximal explanatory sets. 16.3.3 Determining minimal explanatory sets. 17.1 Separation of intact proteins. 17.2 Ionization of intact proteins. 17.3 Resolution and accuracy requirements for charge state determination and mass calculation. 17.4 Fragmentation of intact proteins. 17.5 Charges of the fragments. 17.7 Protein characterization - detecting modifications. 17.8 Problems with top-down approach. 18.2 Standards from a proteomics perspective. 18.2.1 Creation of test samples. 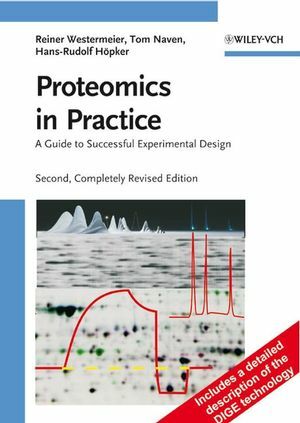 18.2.2 Data standards in proteomics. 18.2.3 Requirements for data standards. 18.2.4 Problems with data standards. 18.3 The Proteomics Standards Initiative (PSI).